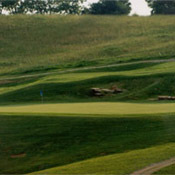 ou will find Fox Hollow Golf Course beautifully nestled away from the mainstream in the gently rolling hills of South Central Kentucky. Driven by their love of golf, family, and nature, the Shipley family is continuously developing a golf course community that successfully merges all three. Whether it's a fox on the 14th green, children in the pool, or the latest in home design, you'll find what you're looking for at Fox Hollow!